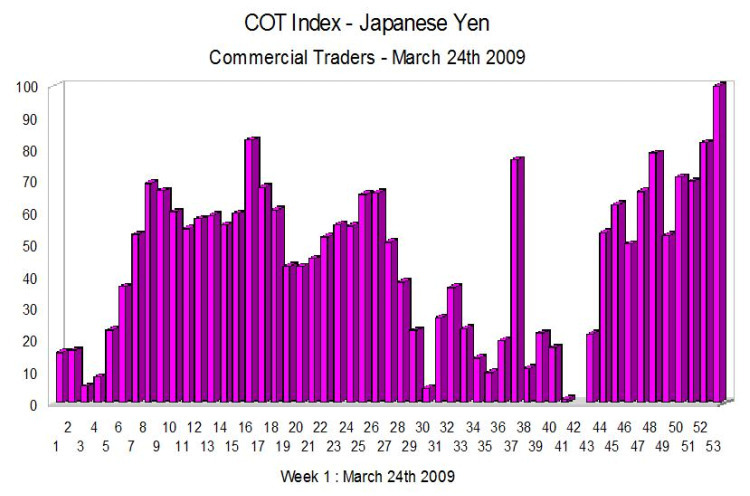 The most meaningful aspect of the COT index for the Japanese Yen was the shift 3 weeks ago by commercial contract holders from being net short at the point to the current situation where they are net long by some significant margin. However, as this has happened towards the end of Japan’s fiscal year (ie 31st March) we should really wait a few more weeks to see if this sentiment is likely to continue. In the spot market there is an increasing struggle at the moment with the 98.50 level providing strong resistance to any move higher by the dollar.